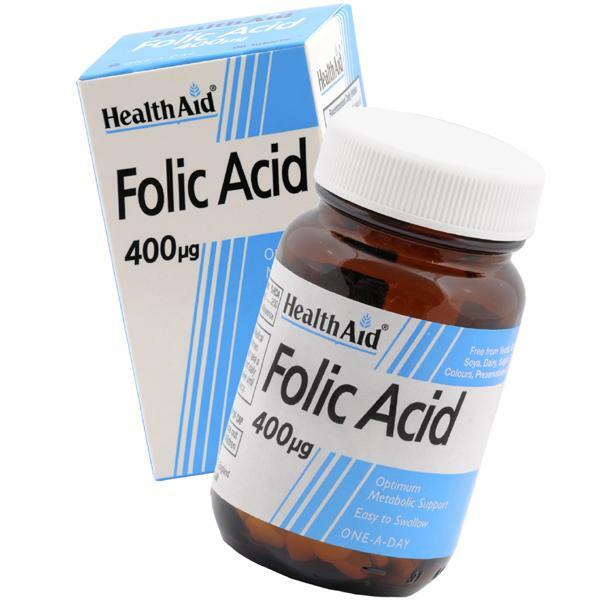 Description Folic acid is a member of the B group vitamins and is used in the body for the production of nucleic acids and DNA. It helps in the utilisation of sugar, amino acids and the division of body cells. Help to optimise the metabolism of the liver and improve levels of cholesterol. Supports the health of cells and makes nerve function more efficient. Assist in reducing blood cholesterol levels. Adults and children over 12 years of age, one tablet daily. di-Calcium Phosphate, Microcrystalline Cellulose, Crosslinked Sodium Carboxy Methyl Cellulose, Veg. Magnesium Stearate, Folic Acid.